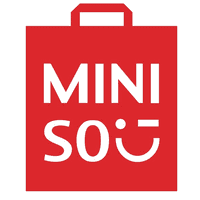 We are Miniso Tanzania Company Limited, This is Japanese designer brand dealing with retail business. Our head office in Tanzania located at Viva tower -Ally Hassan Mwinyi road, First floor office number 5 & 6. We have two shops located at Mlimani city and Aura mall. Job Purpose: To equip staff with the knowledge, practical skills and motivation to carry out work-related tasks. Will be accountable for the facilitation of training workshops and activities for internal staff. This includes development of all training material & presentations. To analyze training requirements and to develop new training programs or modify and improve on existing programs ensuring that product delivery is of the best quality. Researches, writes, edits, or oversees the preparation of persuasive, accurate, and grammatically and syntactically correct solicitations, proposals, case statements, reports, correspondence, and other development-related communication materials in support of the unit¡¯s fund-raising activities. Supervise and co-ordinate store staff employees in day-to-day functional activities, as appropriate.